On a Californian campus in the 21st century, Professor Enzo Yakuda is on the verge of retirement. Although he is a Zen Buddhist, a lifetime’s thought and study have not led to inner calm but to an obsession that begins to haunt him and take over his life. Yakuda believes he can prove the self-repair function of Computer One, the international civil computer network, will cause an inevitable confrontation with humanity. His nightmare is that in raising the alarm, he may cause the annihilation of the human race. 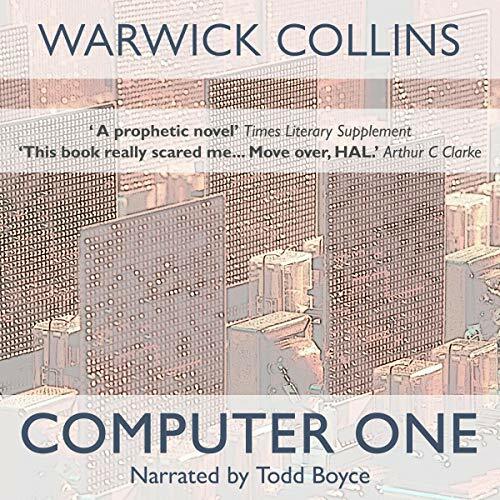 Computer One is a cult classic written in 1991 by novelist and former evolutionary theorist Warwick Collins. Both a compelling novel and a terrifying scientific treatise, it remains as relevant today as automation and AI grow increasingly ubiquitous. Its particular horror lies in the perfectly logical dreamworld of modern science, its compulsion a plot that moves like a Greek tragedy toward its inevitable climax.